The educational qualification prescribed for this post should have been obtained by passing the required qualification in the order of studies SSLC + HSC or its equivalent + U.G. degree (10+2+3) or SSLC + Diploma + U.G. Degree (10+3+3) or SSLC + HSC + U.G. Degree (Engineering) (10+2+4). a) The applicant should be the Retail Vending shop personnel appointed on Part time / temporary / Consolidated pay / Contract basis currently working in any of the TASMAC Shop/Offices(Head Office/SRM Office/Dist. Manager Office/Depot/ Flying Squad.etc). b) Confirmation of selection of Junior Assistant on re-deployment is subject to verification of the geneunity of the original educational certificates from the concerned educational authority. c) As on 01/08/2018, the applicant should not have been dismissed / suspended from TASMAC service in any capacity and that no disciplinary or criminal case is pending against the applicant as on date. Final selection will be made on the basis of the total marks obtained by the applicants at the Written Examination and to the rule of reservation of appointments and subject to Verification of Certificate and Medical Fitness Certificate and other requirements of TASMAC. The Minimum Qualifying marks in the written examination would be 30 % (Thirty Percent) of the total marks for an applicant to be considered for selection. The applicants are required to submit a Demand Draft in the name of “Managing Director, TASMAC” payable at Chennai for Rs.354/-towards Application Fees (Rs.300/- plus G.S.T. @ 18% Rs.54/-). Applicants belonging to SC/ST and Ex-Servicemen are eligible for 50% reduction in the Fees and have to submit Demand Draft for Rs.177/- towards Application Fees (Rs.150/- plus G.S.T. @ 18% Rs.27/-). The details of the Fees paid should be entered during the online submission of Application Form and the demand draft submitted along with the downloaded filled up application form submitted to the District Manager. 1. 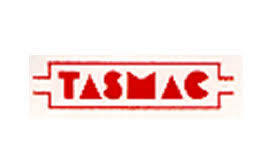 Applicants should apply only through online mode in the TASMAC’s website www.tasmac.co.in. The applicants have to click on the link “Recruitment for Junior Assistant” and fill in the details online and submit the application form. The applicants are advised to read the instructions to applicants carefully before filling in the application and submitting the application online and follow the instructions scrupulously. 2. Applicants are required to upload the Scanned image of the recent color passport size photograph and clear image of the specimen signature of the candidate along with the Application while submitting online. The applicants are advised to keep the images ready in jpeg or png format with less than 1MB size before proceeding with the registration. 3. Online application submitted without uploading the photograph, specimen signature & Signed Application form submitted without specified documents will be rejected. Applications containing wrong claims relating to basic qualification, category of reservation / educational qualification will be liable for rejection. 4. All the particulars filled up by the candidate in the online application will be considered as final and no modifications will be allowed after the last date specified for applying online. Any request for change of address and other details mentioned in the application form submitted will not be entertained subsequently. 5. Since most of the fields are mandatory, applicants are requested to fill the online application form with utmost care and caution as no correspondence regarding change of details will be entertained. 6. After submitting the application online, the applicants can save their application in PDF format. A copy of the PDF file will also be sent to the registered email address provided by the applicant. 8. The applicants are advised to retain a copy of the signed application form along with the copies of certificates submitted to the District Manager’s office. 1 . Self Attested photocopies of 10th standard certificate or equivalent in support of Date of Birth. 2 . Self Attested photocopies of 12th standard certificate or equivalent. 3 . Self Attested photocopies of Diploma certificate or equivalent (if any). 4. Self Attested photocopies of Graduate degree Certificate and mark sheets or grade sheets in a relevant discipline. 5. Self Attested photocopies of Post Graduate degree Certificate and mark sheets or grade sheets if any. 6. Self Attested photocopies of Other Educational Qualification if any. 8. Self Attested photocopies of Community certificate as applicable. 9. Self Attested photocopies of Medical Certificate for Differently abled applicants as per G.O(Ms) No51 Welfare of Differently Abled Persons(DAP.3.2.) Department dated 26.12.2017, if applicable. 11. Recent Passport Size Photograph. 3. The signed application form with all enclosures should be submitted in the concerned District Manager Office by 20.09.2018. No applications will be received by the District Managers after 20.09.2018.